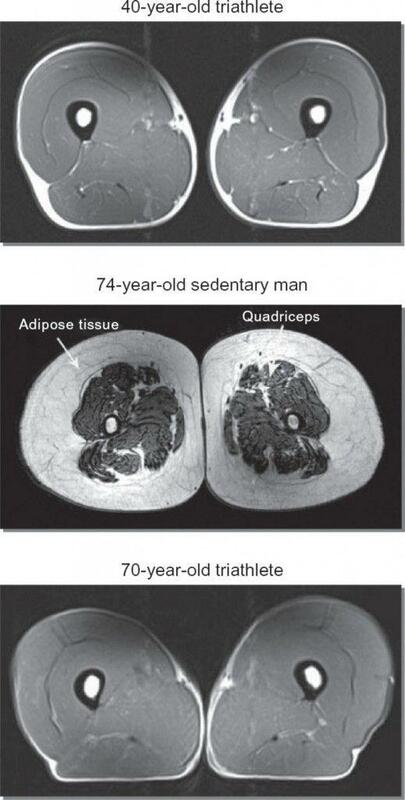 Sarcopenia is a loss of muscle mass, strength, and function. It is caused by several factors, and is one of the most common causes of functional decline, frailty and decreased independence in aging adults. Hormonal changes, chronic disease, elevated inflammation, increased body fat, poor nutrition, and reduction of physical activity all contribute to the overall rate of sarcopenia. Additionally, the loss of muscle mass can be hidden by the physical characteristics of increasing fat tissue. Without intervention, we can lose 50 percent of our muscle composition between the ages of 25 and 70. Lifestyle changes – increased physical activity, proper nutritional balance, and balancing declining hormones -- can significantly change the course of sarcopenia. Resistance Training, Resistance Training, Resistance Training! A properly designed program will increase motor neuro firing rates, improve muscular recruitment and create more protein synthesis to support muscle health. Resistance training is critical to preventing sarcopenia – without it, you cannot support or develop muscle strength. Putting the right nutrition in your body is also critical for staving off sarcopenia. High amounts of carbohydrates, processed foods, and diets lacking quality protein all add to the rate of sarcopenia. Consuming healthy fats and quality proteins (focusing on branch chain amino acids) and keeping carbohydrate intake low will support healthy body composition. Aging is associated with a normal decline in hormone levels including testosterone and growth hormone. These hormones play a vital role in protein metabolism and synthesis, leading to the ultimate health and composition of muscles fibers.